Lionel Messi is reportedly aware that Bayern Munich and Spain star Thiago Alcantara is desperate to seal a move to Real Madrid this summer. 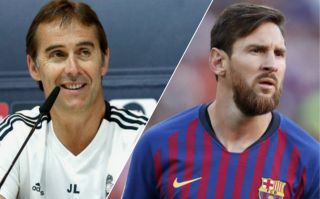 This is according to Don Balon, who note that the Spaniard is trying to force through a move to the Santiago Bernabeu, and that Real Madrid themselves are keen on the midfielder. The report also states that the next couple of days are going to play a key part in Thiago potentially seeing a move to the Spanish capital, and it looks as if it’s going to have to be that way considering the transfer deadline shuts in less than two weeks time. Thiago’s desperation to sign for Real can only be a positive for Los Blancos, as it surely means it’ll be easier to get a deal for the Spanish international over the line in time. Signing Thiago would be a huge coup by Real, as the 27-year-old has shown during his time with Bayern that he’s capable of cutting it against some of the best clubs both Germany and Europe have to offer. 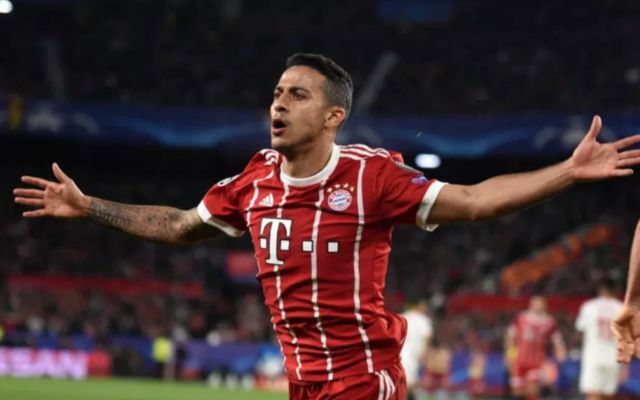 Thiago’s displays in both the Bundesliga and the Champions League have been admirable, with his performances proving to be fairly important in the club’s league titles wins and ability to reach the semi finals of the Champions League consistently. Only time will tell if Thiago does end up moving to Real, a move that we’re sure all the clubs fans will be dying to see happen.